Our range of products include industrial hydraulic power packs, power pack and special purpose machines. 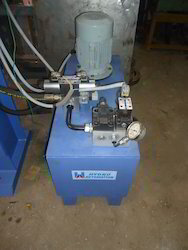 We are backed by an efficient team of professionals, who enable us to offer Industrial Hydraulic Power Packs . The offered baling press is available in varied technical specifications as per the need of customers. This baling press is developed using the best quality material and advanced tools under the supervision of skilled professionals. Also, the offered baling press can be availed from us at affordable prices. 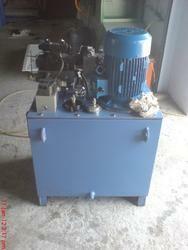 We are backed by an efficient team of professionals, who enable us to offerHydraulic Power pack. 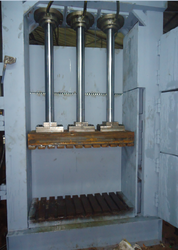 The offered baling press is available in varied technical specifications as per the need of customers. This baling press is developed using the best quality material and advanced tools under the supervision of skilled professionals. Also, the offered baling press can be availed from us at affordable prices. Owing to the expertise of our professionals, we have been engaged in offering Special Purpose Machine. Our molding machine is manufactured using the most-advanced techniques under the observance of skilled professionals. The offered molding machine is used in diverse industrial sectors including stainless steel & automobile. This molding machine is examined after production so as to make certain its flawlessness. Looking for Industrial Hydraulic Power Packs ?